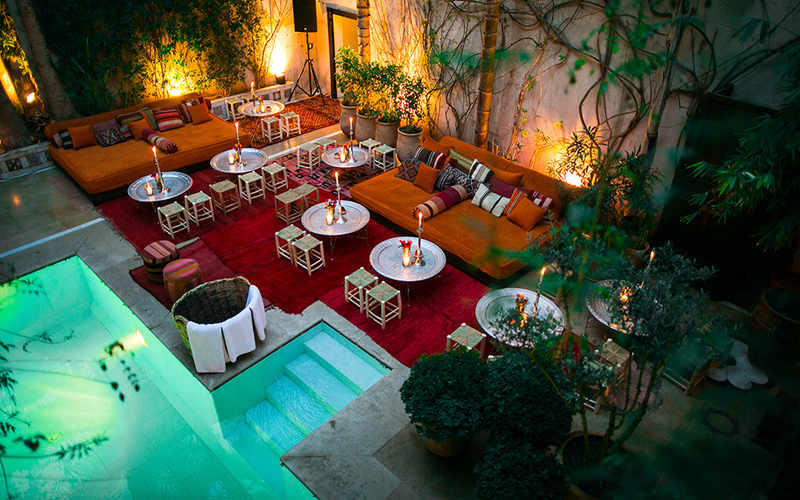 El Fenn is located in the vibrant city of Marrakech – Once you step outside it’s walls you soak up the atmosphere of a city that’s seduced everyone from Yves Saint Laurent to Winston Churchill. 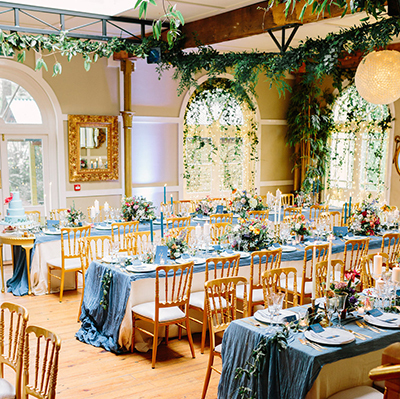 Whether it’s a wedding ceremony in their orange and lemon tree courtyard, sundown cocktails on the roof terrace or a bespoke dinner in the restaurant, the team at El Fenn are here to help you create the exotic celebration you’ve always dreamed of. 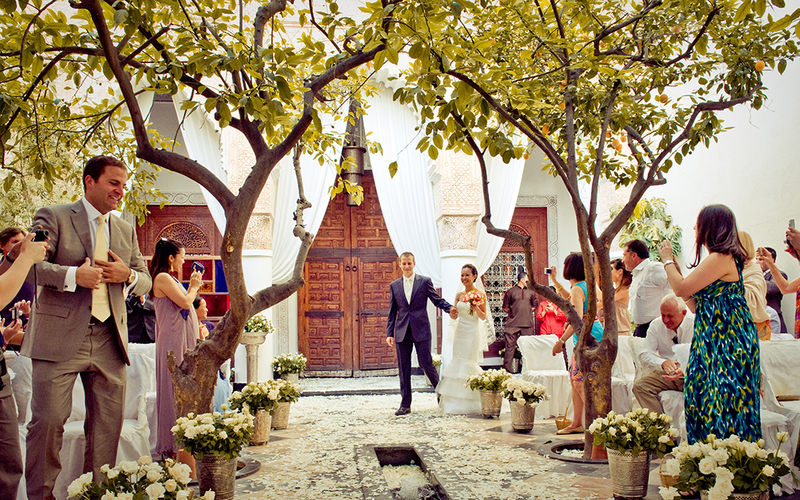 There is an English speaking marriage celebrant who can conduct your wedding blessing. 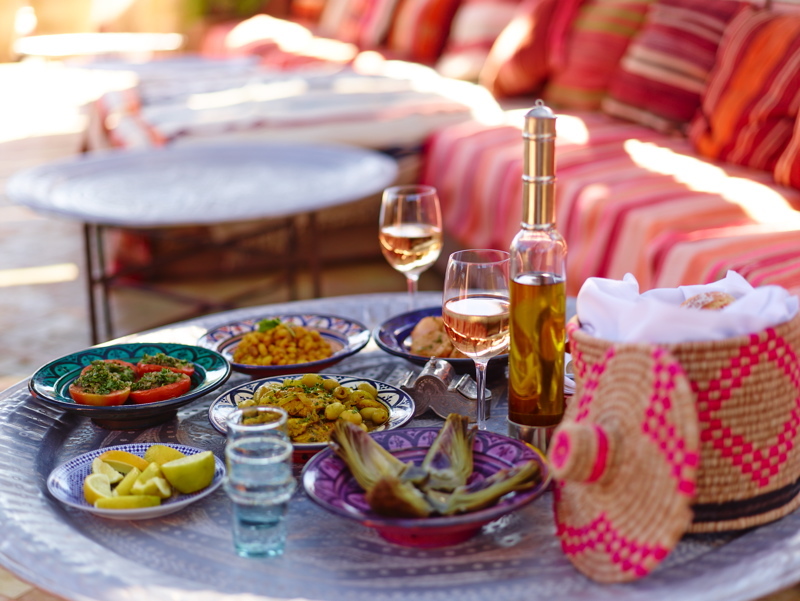 El Fenn is an exclusive venue and couples can hire out the house for their guests. They have a total of 28 bedrooms – 20 rooms and suites + 2 two-bedroom family suites in the main house + 4 in the private house two minutes’ walk from the main building. They can therefore sleep 56 people! There is also the possibility to hire their ‘Little Sister’ – a six-bedroom house about three minutes walk from the main building. 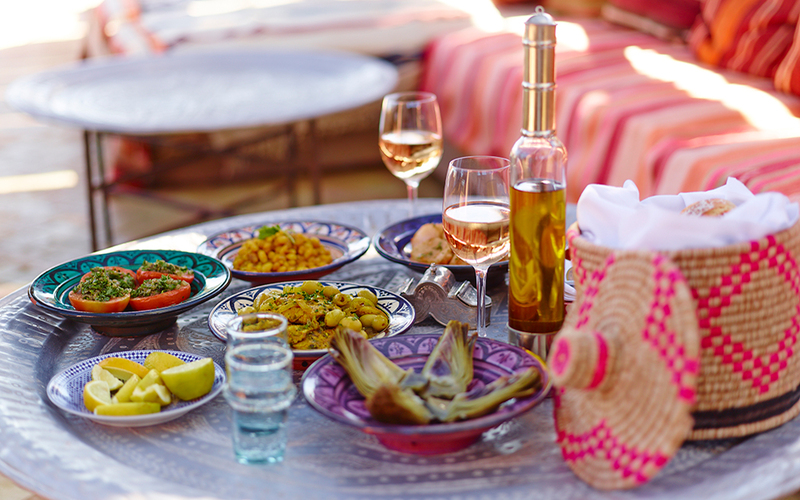 Breakfast is included in your stay and there’s a minimum two-night stay for exclusive hires. 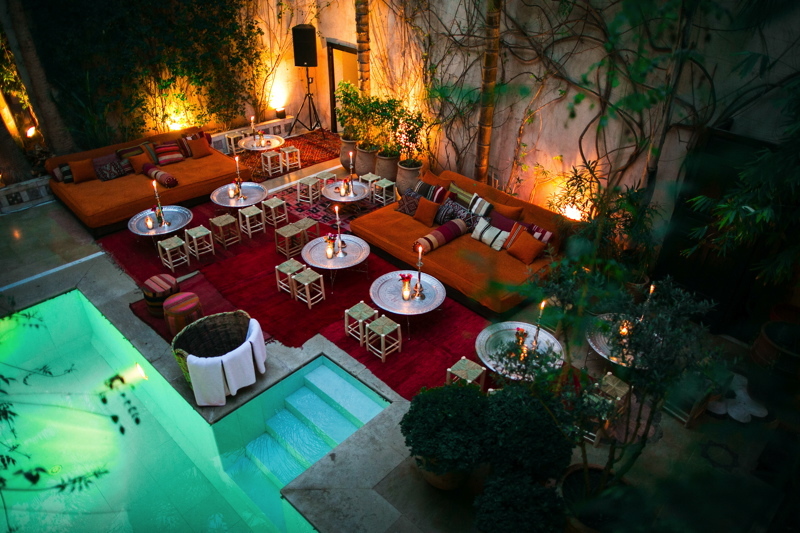 Anything is possible at El Fenn, they can transform their pool area into a Berber salon complete with rugs and kilim-covered day beds, organise fire and belly dancers to perform against a backdrop of the stars on the roof terrace, book one of the city’s hottest DJs or organise a candle-lit dinner accompanied by a musician playing El Fenn’s grand piano. 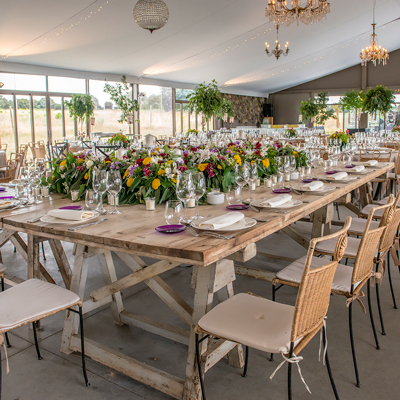 In addition to organising your event, they can also help you organise your party plus a weekend of activities ranging from quad biking and golf to shopping tours and spa treatments. 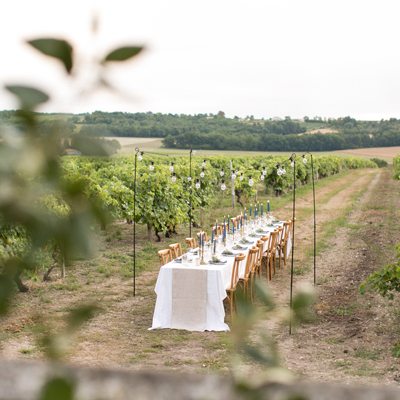 However you want to celebrate, the team can create your bespoke wedding.